California was originally known as the Grizzly bear state. The bears disappeared as the population boomed. 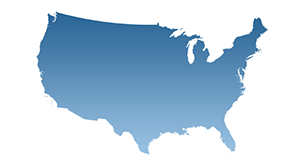 Now California is the most populous state in the US with approximately 38 million people. The state is also known for its hippie counterculture. The state has Los Angeles, the largest city in California and the second largest city in the United States, the first being New York. It also has some of the most populous urban regions like the Greater Los Angeles Area and the San Francisco Bay Area. This provides multiple business opportunities for real estate agents. If you are interested in buying/investing in a property in the state of California, it is essential for you to find a realtor who is a specialist in the state. Realtors have access to a vast number of properties that are listed. Whether you want to buy a home or sell a home, consulting a real estate agent will prove beneficial. Realtors open up a door of contacts from whom you can buy a home, if not sell your home. This ensures that you will get the best possible deal. Both seller’s and buyer’s agents work as real estate agents and they know how to close the deal. This takes a huge burden off your chest as you don’t need to worry about all the paperwork, and you know that your transaction is in the hands of a reliable professional. If you want to buy a home, all you need to is contact an agent. The agent will find you homes that fall within your budget and meet any other requirements that you specify and make appointments for you to see the home. If you try to buy a home on your own without going through an agent, you will need to make all the calls on your own. This becomes all the more difficult if you’re looking for a home that is for sale by the owner. On the other hand, if you are trying to sell your home on your home, you need to be prepared to answer calls from potential buyers at any time during the day. These calls usually last for a few minutes because interested buyers always have questions to ask before they decide to see a home. If you don’t answer calls because you are caught up with work, the buyer may decide to move on. Getting in a touch with a realtor not only eliminates all these hassles, but it also opens up your options. There are approximately 184,000 active real estate agents in California who possess a license from the California Bureau of Real Estate (CalBRE). When hiring a realtor, experience and expertise matters. You need to consult one who has in-depth knowledge about the area and the market conditions. Here is a list of some of the best realtors who have made a difference in the lives of their clients in the state of California. They are specialists in buyer’s agents, listing agents, foreclosure, property management, relocation and a lot more. 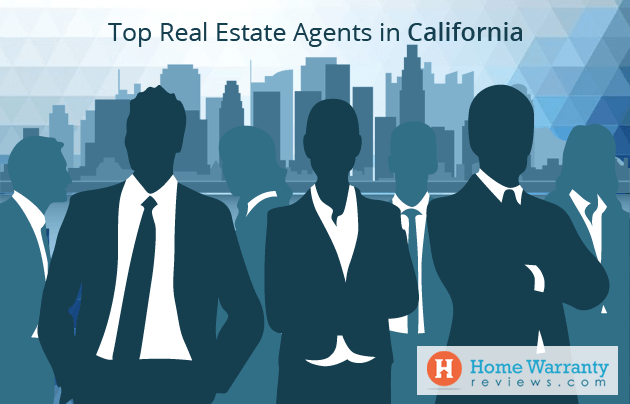 Here are the top real estate agents in California. 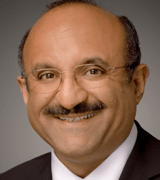 Al Moridi’s specialties are Buyer’s agent, listing agent, short-sale, and relocation. Cities of expertise: Santa Clara, San Jose, Sunnyvale, Saratoga, Cupertino, Milpitas, Palo Alto, Campbell, Mountain View, Los Altos and Los Gatos. Al has been a full-time real estate agent for the past 29 years during which he’s sold over 1,100 homes. 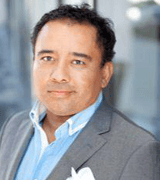 He is a specialist in marketing and selling homes throughout the Silicon Valley including the cities Santa Clara, San Jose, Sunnyvale, Saratoga, Cupertino, Milpitas, Palo Alto, Campbell, Mountain View, Los Altos and Los Gatos. Al has gotten numerous awards and received many accolades for his outstanding performance in the real estate industry. However, he says that his favorite form of honor is the referrals from delighted and content customers. Al is known to ensure that his clients go through the process of buying a home in a stress-free manner. He dedicates himself towards your success. He hears out your goals and prioritizes on achieving them. He puts his clients at ease by explaining every step of the real estate process to them. Al holds membership in real estate associations like the California Association of Realtors, San Jose Real Estate Board, and the National Association of Realtors. All of these associations advocate a strict code of ethics and assure that their clients are informed and follow the latest marketing techniques and legislatures that affect real estate. He is known to produce better and faster transactions for his clients that exceed their expectations. He is a service-oriented real estate professional who applies his knowledge and experience along with his integrity in his work for you. Amy Dginguerian and Marlin Dginguerian’s specialties include buyer’s agent, listing agent, property management, and staging. Areas of expertise: Encino, La Crescenta, La Canada Flintridge, Los Angeles, Sylmar, Pasadena, and Tujunga. Amy and Marlin are the total package when it comes to buying and selling real estate. Amy Dginguerian was famous from times even before she became a realtor. She was a model, actress and a host. She was also known for being behind the camera as a Producer in Hollywood. Amy built her career in Hollywood with a simple strategy – be professional, be persistent, be courteous, and be honest. Her persistence and determination took her from starring roles on TV and Film to being featured on the covers and inside of plenty of magazines, and also campaigns of some of the biggest companies in the world. Amy also is a 2-time Billboard Recording artist and an Author. Amy redirected all of that passion into a career as a Top Producing Real Estate Agent. She has received the title of Agent of the year for 2014 and also been given the Agent of the Week for her real estate firm more than 10 times. Being an Accredited Stager and E-Pro certified realtor, she makes the most out of skills when marketing a home. She has a team of Top HD photographers, drone video operators and editors to help her sell all the home for a top deal and at a quick pace. She is a fantastic negotiator and is brilliant when it comes to devising bidding wars for her properties. Marlin studied business in college like most real estate agents do. Knowing that she wanted to work in an industry where she could use her interpersonal skills and make a difference in people’s lives, she found her place in California real estate. Until this day, she uses the knowledge that she acquired in college to close deals with her clients. Marlin started off her career in real estate at a local California real estate firm where she worked as a transaction coordinator. She worked there for a couple of years during which she consumed solid knowledge about the industry and picked up the tricks of the trade. After gaining enough experience to start off on her own, Marlin quit the form and obtained her realtor’s license. She began as a rental specialist and soon became THE agent to list with. Dana Miller’s specialties include buyer’s agent, listing agent, consulting and relocation. Areas of expertise: Citrus Heights, Folsom, El Dorado, Orangevale, and Rocklin. Dana Miller has 13 years of experience in her real estate career. She got into real estate after one of her friends identified her skill to be a realtor and convinced her to give it a shot while they were on a flight to Italy. After deciding that there it was worth a shot, Dana decided to study real estate and took up her real estate principals test online. After that, she took the state test and passed. At her first job, her realtor sent her for an open-house at Roseville as he wasn’t sure what work to assign to her. She had four transactions at the event after which her career only moved higher. Even when Dana went through surgery after rupturing her Achilles’ tendon a few years back, she still showed homes, despite having to use crutches. Dana has been out doing her previous year’s records, both in terms of sales volume and dollars every year. She attributes her success to her forward thinking, tech savviness, diplomatic demeanor combined with her unorthodox approach. She also has fantastic negotiating skills and problem-solving skills. By nature, she is ethical and empathetic and treats every transaction as if it were her own. These skills of hers complemented by her fabulous personality has put her in the Top 5% of agents in the El Dorado, Sacramento and Placer counties. Krista Mashore’s specialties are a listing agent, negotiation expert, marketing specialist, and staging. Areas of expertise: Antioch, Byron, Brentwood, Concord, and Oakley. Krista entered the real estate industry in 2001, a time during which Northern California had an explosive growth. With her levels of enthusiasm and determination, she sold 69 homes that year. Prior to starting her career as a full-time realtor, Krista worked as a third-grade teacher. Coming from a teaching background and already possessing a Bachelor’s and a Master’s degree, she researched as much as she could and educated herself in order to stand out. Her hard work and perseverance earned her a spot among the Top 1% Realtors nationwide. Krista is the Owner/producing Broker of Homes by Krista in Brentwood, CA. She has a devotion to serving others, outstanding work ethics, and a knack for marketing. She doesn’t take anything for granted. 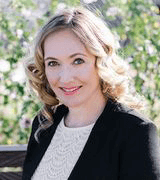 Right since her early days in the real estate world, Krista has been a listings specialist and has implemented groundbreaking techniques to business development and the real estate market. Adam Price’s specialties are buyer’s agent, listing agent, escrow and foreclosure. Areas of expertise: Los Angeles, Calabasas, Glendale, Beverly Hills, and West Hollywood. Adam Price is an Estates Director who is well known for his home staging company Price’d Designs throughout Beverly Hills. He went to Mount San Antonio College where he studied Interior Design. Right after graduating, at the age of 19, he started his own business with an office that was located in the heart of downtown Los Angeles as well as Las Vegas, Nevada. With his company, he helped few of the biggest names in the industry sell real estate worth over 13 million dollars, but he wasn’t happy as he hadn’t yet achieved his childhood dream of being a real estate agent. Adam began his career in real estate in Beverly Hills at Coldwell Banker Beverly Hills North Office. Just after working for in the year in the industry and with 5 million in sales, Adam got promoted to Previews. Once he achieved this goal, Adam decided to join the big leagues of real estate and the and there was no better place than Rodeo Realty. His design perspective, negotiation skills and knowledge of the Los Angeles real estate market makes him the right person to consult. Adam believes in “Experience, Quality, and Results!”. He wants to help people find their dream home at their dream price. Adam is well known in the industry for his honesty, resourcefulness, and as a man who produces results. He owes his negotiation skills to his past experience of testifying before the California state Senate on various bills. Aaron’s specialties include buyer’s agent, listing agent, architecture, and interior design. Areas of expertise: Malibu, Beverly Hills, and West Hollywood. 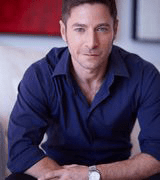 Aaron Kirman is not only one of the top real estate agents in California, but he’s President of the International Estates Division of John Aaroe Group. He is also a leading realtor in the US. He has also been named Top Agent in Los Angeles a number of times. His clientele includes those who seek the luxurious lifestyle. His clients include celebrities, heads of industry, royalty, foreign investors and major lending institutions. Aaron says that his success is based on his advanced advertising and marketing strategies, market knowledge, partners, exclusive contact base, and his true love for luxury sales. Many property developers seek his help to sell multi-unit projects including a private island in the Pacific, W Hotels, and Turks and Caicos. A lot of architects, designers, and developers contact Aaron before the construction begins and even after the project is completed to make the best out of his long track record of success and to ensure that the design, architecture, and plan would appeal to the right high-end buyers. He is very often contacted by the media for insights and quotes on the current real estate, he is the go-to man when the media needs information on real estate. He is very often featured on CNBC, CNN, The New York Times, The Los Angeles Times, Variety, E Entertainment, the London Times, and CBS. Being a prominent person in the luxury real estate market, Aaron has received a number of awards. He has received the International acclaim from the Architectural and Estate communities that represent some of the most exclusive residences around the world that include Richard Neutra’s Kaufmann Residence, Frank Lloyd Wrights Ennis House, Frank Gehry’s Schnabel House, Lions Gate by Paul Williams, and the only Oscar Niemeyer in North America. 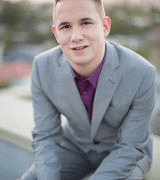 Aaron extensive knowledge and years of expertise in selling exclusive properties has helped him to secure some of the highest prices in Beverly Hills, Beverly Hills PO, Hollywood Hills and Malibu. His most recent price record in Hollywood set the bar at $4,722 per square foot. Joe Babajian’s specialties are buyer’s agent and listing agent. Areas of expertise: Beverly Hills and Westside of Los Angeles. Very few agents dominate the luxury residential market along Western Los Angeles and Joe is one among them. He is also a national expert in the luxury residential real estate front. He has sold over $3 billion worth of residential real estate since 2000 alone, this does not include the sales that he made in the first 8 years of his career. Joe’s is well-known for looking into the most minute details of his clients’ needs. He makes sure that his clients get exactly what they have asked for. His superior knowledge and sharp negotiating skills offer his clients profitable deals along with tailored solutions to their requirements. His clientele includes celebrities like Sharon Stone, Nicolas Cage, Barbara Streisand, Kevin Brown, Ryan Seacrest, and the list goes on. Joe graduated from UCSB and currently resides in Beverly Hills. 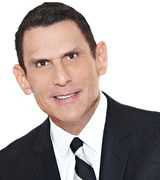 His expertise in Los Angeles residential real estate is immense. He is opinions are often sought after in top media news programs and magazines like Entertainment Tonight, Access Hollywood, Extra, 20/20, In Style, People, GQ, Entertainment Weekly, and Beverly Hills. Dino’s specialties are buyer’s agent, listing agent, and real estate investment. Areas of expertise: San Francisco and San Mateo. Dino has real estate in his blood, he is a second generation real estate professional. His focus lies on residential and multi-unit real estate sales in San Francisco. However, his expertise and services also extend to San Mateo. 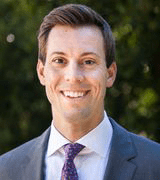 He concentrates on bringing strategic approaches to the table while dealing with buyers, sellers and investors to meet their respective real estate goals. Before venturing into real estate, Dino worked with the Tax Division of Deloitte & Touche and Lubrizol Corporation. His work experience in those companies has provided him with the experience of working with fixed assets that include plant, property, and equipment in the domestic as well as international set up. This experience gives Dino a deeper perspective into real estate classes, tax ramifications, real estate development and analysis in the different cycles. In addition to all this knowledge, he also applies his understanding from the construction front while advising them. Dino’s skill set owes some credit to his family as well. His family includes small developers and specialists in numerous segments of real estate construction. Working with his family has given him the experience of being involved in new residential construction, general vendor management, and income property management. He also has direct experience of working as a single-family home, condo, and multi-unit investor which has given him a personal understanding of taking on the risk/reward model and extract potential returns that can be attained through real estate. Dino works with TRI Coldwell Banker, the #1 office in San Francisco for sales and one of the leading residential real estate offices nationwide. The composition of the office gives Dino leverage to the knowledge and experience of the other agents in the office who has an average tenure of 20 years. Kurt Wannebo’s specialties are buyer’s agent, listing agent, consulting, short-sale, property management, and landlord. He’s good with both luxury real estate as well as traditional real estate. 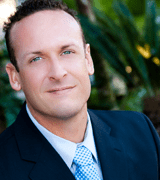 Kurt who is popularly known as “Broker Kurt”, is the CEO and Broker for San Diego Real Estate & Investments. He founded his own company in 2005 and soon became one of the consistent top 10 real estate agents throughout San Diego County. He along with his team close and sell hundreds of homes every year. He has received numerous online testimonials from his clients along with 5-star ratings on multiple websites where his clients have talked about the fantastic experience of receiving services from his team. He was named in the list of Wall Street Journal’s Top 250 Agent list in the nation for the years 2013 and 2014. He was also ranked #1 in San Diego for Agent Team transactions for 2013 and 2014. In addition to these achievements, he was also nominated for the cover of Top Agent Magazine in 2014. He has sold over 800 properties in his career so far and he also maintains an almost 100% sales price ratio. His team of agents comprises of marketing staff, administration staff, buyer specialists, and seller specialists. Broker Kurt is regularly interviewed by many news publications and has also appeared on TV shows for his expert opinions on the real estate market. The San Diego Union Tribune commonly seeks his opinions on the industry. He is featured on the monthly real estate elite on the Craig Sewing American Dream TV show and participates in monthly radio shows and webcasts. He has also been interviewed by global real estate trainers. Through his career, Kurt has also traveled around the country and trained other real estate agents and gives talks at seminars that have the presence of nearly 3,000 agents. Madison Hildebrand’s specialties are buyer’s agent, listing agent, relocation, and consulting. Areas of expertise: Malibu, Agoura Hills, Calabasas, Brandeis, Camarillo, Canoga Park, Oak Park, Newbury Park, Pacific Palisades, Thousand Oaks, Simi Valley, Topanga, Ventura, West Hills, Westlake Village, and Woodland Hills. Madison Hilderbrand is the Founder and President of The Malibu Life, Inc., He is one of the world’s most recognizable faces in the real estate world. Every year, he is internationally recognized as a top producing agent. He is a founding member of the Partners Trust Malibu office where he brings 14 years of experience along with career sales that exceed $250 million to the table. He along with his team of 8 specialists work together to make record transactions that exhibit professionalism, integrity, passion, and knowledge. Madison owes his ability to connect and communicate with a wide range of clientele to his love for travel and his experiences of living in different countries and cities. Madison attended Pepperdine University where he studied his Bachelor of Arts in Advertising. Soon after graduating, he became a prominent personality in the community by joining different many organizations and charitable trusts. He is a past Board Member of the Malibu Association of Realtors, a Board Member of the Malibu Boys and Girls Club, a weekly volunteer at the ER at the UCLA Santa Monica Hospital, and the Vice President of The Malibu Green Machine. Madison is a six-year veteran to the small screen, where is he is popularly known as the original cast member of Bravo TV’s hit reality show “Million Dollar Listing Los Angeles” and as a contributing host on E! News. Madison is also the author of the book ‘Activate Your Passion, Create Your Career”, he is a renowned public speaker, and a product designer for a line of candles. He is also the Brand Ambassador of DocuSign, Inc., and Give Back Homes, a trusted network of real estate professionals who are dedicated to creating social change through the act of buying and selling a home. Madison strongly believes in “Be a blessing, then be blessed”, and he practices this mantra in his professional as well as personal life. Julie Wyss’ specialties are buyer’s agent, listing agent, staging, and relocation. Areas of expertise: Campbell, Cupertino, Mountain View, Los Gatos, San Jose, Sunnyvale, and Santa Clara. Julie Wyss is a part of Keller Williams the largest real estate company in the world. For the past two years, she has been recognized as the #4 highest producing individual agent by the company. Julie has also been recognized nationally as being among the Top 1,000 agents in the country by the Wall Street Journal. 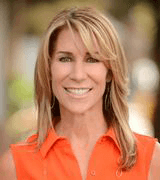 She constantly ranks in the Top 100 Bay Area agents in the Bay Area Leading 100. Julie’s 20 plus years of being in business have earned her a reputation amongst her clients. She treats her customers with integrity, pays attention to detail, and achieves outstanding results in every transaction. Julie puts herself in her client’s shoes and understands that buying or selling a home for most people is one of their life’s biggest events. She earns her clients trust and ensures that the stress involved is at the bare minimum. She demonstrates high levels of commitment and communicates to her clients clearly which makes working with her exciting and the process of the transaction smooth. Julie has built a team of reliable professionals who are extremely skilled. 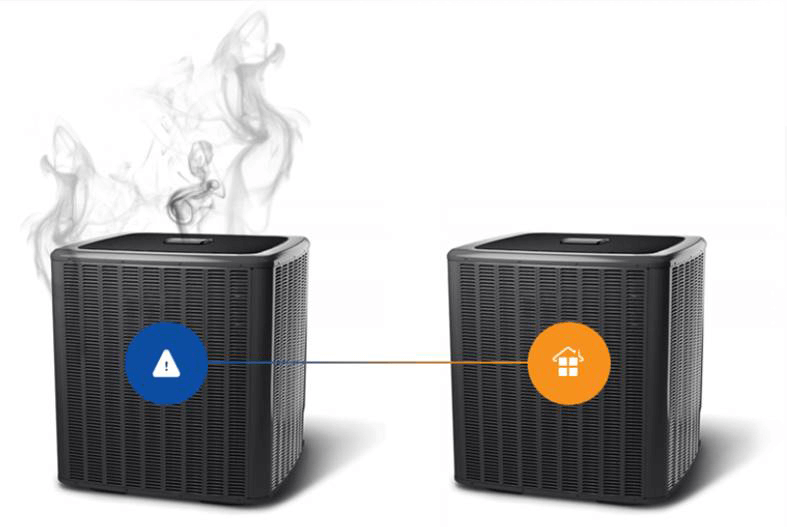 The team provides superior services and unfailing support. Julie is aware that success requires adapting to the ever-changing environment and constant innovation. She is dynamic, optimistic, and zealous. She has earned the reputation as “The Selling Genius” after listing and selling homes throughout the Silicon Valley to net more money for sellers. Julie uses her extensive knowledge in her real estate deals to ensure that both buyers and sellers the best possible price. Through her career, Julie has earned respect, recognition and numerous accolades, but what tops her lists are the reviews that she receives from her clients. Apart from the awards mentioned earlier, she has also ranked amongst the Top 25 agents of Santa Clara County Realtors, the #1 Top Producing Agent in Intero Los Gatos for the year 2013, been listed among the Intero Real Estate Services President’s Circle top 5% for the years 2011 and 2012, and the Top 1% Intero Real Estate Chairman’s Circle in 2013. Ron Escobar’s specialties ar buyer’s agent, listing agent, short-sale, and community pillar. Areas of expertise: Bell Gardens, Beverly Hills, Culver City, Compton, Los Angeles, and Santa Monica. Ron Escobar attended the University of Southern California where he got his MBA degree. He has over 16 years of real estate experience in Los Angeles alone, not just as an agent but also as a broker and General Contractor. He and his team the Century 21 Select are extremely professional and are focused on thing – to provide the finest and most ethical services to their clients. He handles each and every client’s transaction with utmost care and as if it were his own. Irrespective of whether you are selling a $200,000 property or a $35 million dollar property, his clients receive unequaled services. He and his team love to help people, and it is evident right from the moment you first interact with them, whether it is over a call or through e-mail. The team specializes in real estate in Los Angeles County, LA City, Beverly Hills, Santa Monica, West Hollywood, West Los Angeles, and Brentwood. Danielle’s specialties are buyer’s agent, listing agent, staging, and relocation. Areas of expertise: In San Francisco from Noe Valley, Mission Dolores, Glen Park, Bernal Heights, Potrero Hill, Inner Mission, Sunset, Sunnyside, Hayes Valley, Richmond, Pacific Heights, Lower Pacific Heights, West Portal, NoPa, Ashbury Heights, to Cole Valley and more. Danielle Lazier’s forte lies in luxury real estate, seller representation, listings, investor representation, buyer representation, condos, single-family homes, TICs, Multi-unit buildings, as well as lofts. Danielle’s clients are generated through happy and satisfied clients who introduce their family, friends, neighbors, and coworkers to her team. Her team Danielle and Associates comprise of her, Lucas Sorah, Debbie Rutledge, and Zena Ah Chin. 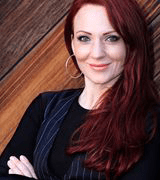 Danielle has over 15 years of experience as a real estate agent in San Francisco and is amongst the Top 1% Sales. The team believes in coupling the power of high-demand, low supply San Francisco real estate to create wealth for their clients. She and her team focus on persuasive negotiation and intrinsic marketing strategies to achieve large results. Everyone is Daniell’s team knows how to consult effectively, negotiate deals in their favor, and oversee complex San Francisco real estate transactions. For home buyers, Danielle consults clients and prepares them to be fully ready for when the perfect property becomes available. When it comes to sellers, Danielle and her team know how to price, present, and market property to achieve first-rate results. The team is known for constantly breaking their past sales records. Every transaction that Danielle is involved in empowering and completely transparent. Cathy Jackson’s specialties include buyer’s agent, listing agent, relocation, and staging. Areas of expertise: Los Gatos, Sunnyvale, and San Jose. Cathy says that every day is a new opportunity to help someone realize their dream. And she believes that it is her responsibility and privilege to ensure that it happens with every single client of hers. She follows this philosophy in her daily life. Cathy is spirited to help her clients get the service and consultation they desire and deserve. A Californian by native, Cathy has immense experience combined with knowledge of the place which she utilizes while interacting with every client of hers. Although her specialty lies in the Greater San Jose, she is a skilled realtor in almost all the neighborhoods that comprise the San Francisco Bay Area. Over her career, Cathy has developed a process to assist her clients which has proven to be highly successful, and she loves to implement them in her transactions. Cathy has also received many awards and recognitions in the real estate industry. 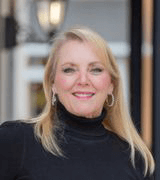 She was in the Top 1% of the Chairman’s Circle, the Top Prestigio Agent at Intero Real Estate Services, Los Gatos, the Top Producer at Intero Estate, Los Gatos, and voted as Most Enthusiastic & Fired Up Agent at Intero Real Estate Services, Los Gatos. Sally’s specializes as a buyer’s agent, listing agent, consultant, property management expert, and an expert in relocation. Areas of expertise: Beverly Hills, Los Angeles, West Hollywood, Westwood, and Brentwood. Sally Foster Jones is a specialist in the luxury residential real estate. She understands that extraordinary homes are in a class by themselves and that they are more than places to simply live in. Sally knows that luxury homes define one’s lifestyle. This segment appeals to an elite group of buyers who lay the standards of elegance, sophistication, class and look for residences in coveted locations around the world. To either make a purchase or a sale of a luxury home, it is required to know a real estate agent who has access to the right set of international buyers, business managers, and brokers. Sally joined the John Aaroe Group in 2014, she was appointed as the President of the latest creation – Aaroe International Luxury Properties Division. She is one of the top brokers in Southern California and is considered as an authority on the U.S. luxury real estate market. She takes pride in the reputation that she has earned for herself. Sally is well known for her expertise, professionalism, fabulous negotiation skills, and successful execution. 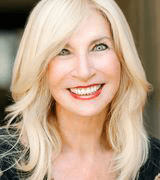 During her career, Sally has represented certain trophy properties including co-brokering the sales transaction for the Spelling Manor (one of Los Angeles’ the highest known residential real estate brokerage sale in history). She has a full-service team of marketing and real estate professionals who help her take her client interactions and transactions to a whole new level. These are the top realtors in California. Working with a skilled realtor makes a huge difference when dealing with real estate. The ease of the transaction process, experience, price, etc can be influenced by the real estate agent involved. 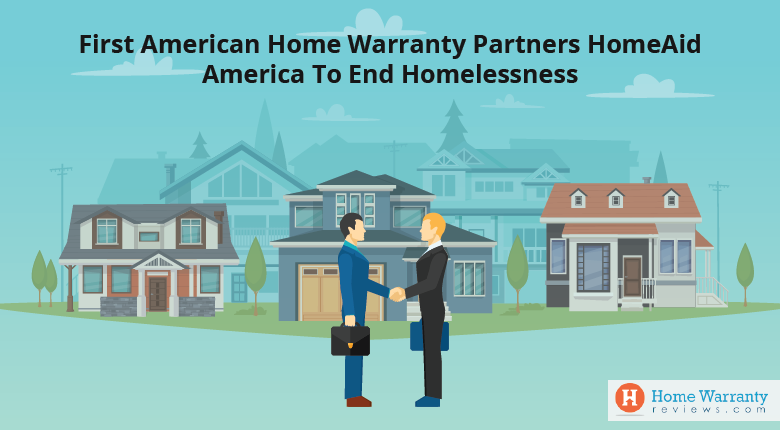 Similarly, having a home warranty policy can give sellers an advantage over homes that do not have one. 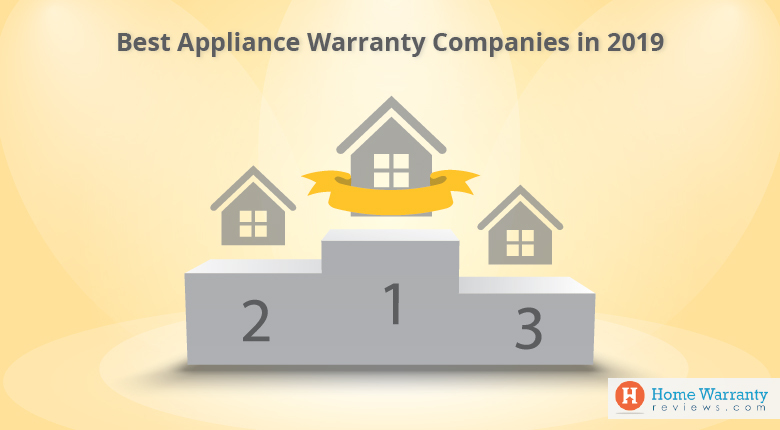 Buyers trust that the systems and appliances are better maintained in homes that are covered by a home warranty policy. If the home is not covered under one, it would be a good idea to buy a home warranty along with the home and save on additional expenses (mortgages take up a percentage of monthly expenses). It is advisable to use a mortgage calculator to know how much your monthly mortgage payments would amount to. If you are interested in buying or selling a home in California, go get a free home warranty quote on HomeWarrantyReviews.com.